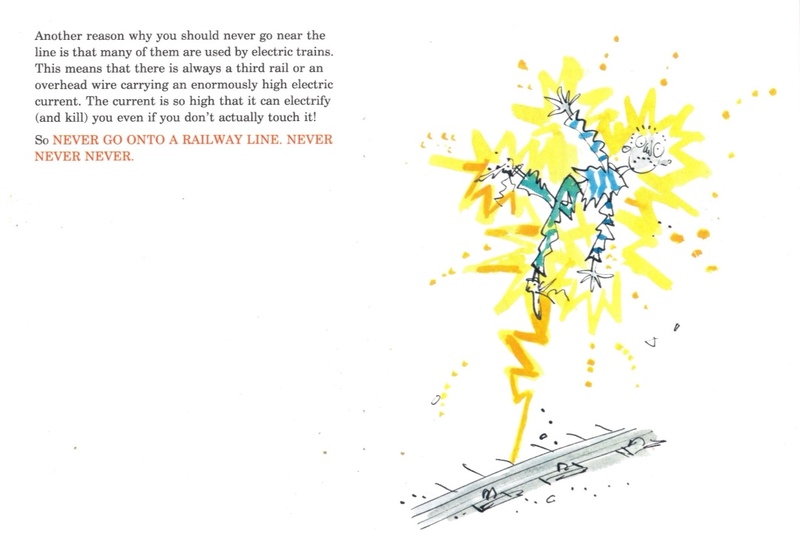 I confess that I have broken at least five of the DO’S and DON’TS in Roald Dahl’s Guide to Railway Safety. Possibly because I missed out on this witty little leaflet that was handed out to school children all over Britain in 1991. Possibly because I am an idiot. 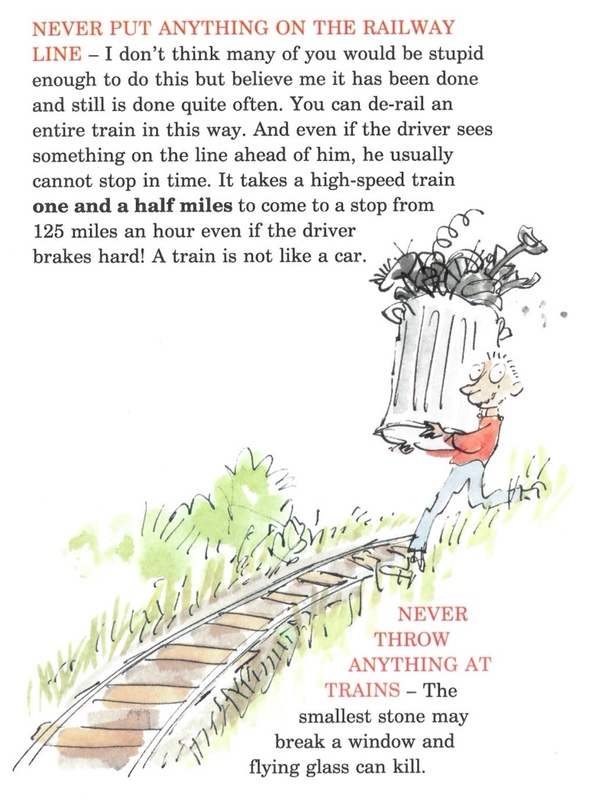 Then again Dahl was no angel when it came to mucking about with train tracks as Donald Sturrock points out in his biography one of his youthful past-times included, ‘putting a penny on a railway line and letting the train flatten it’. 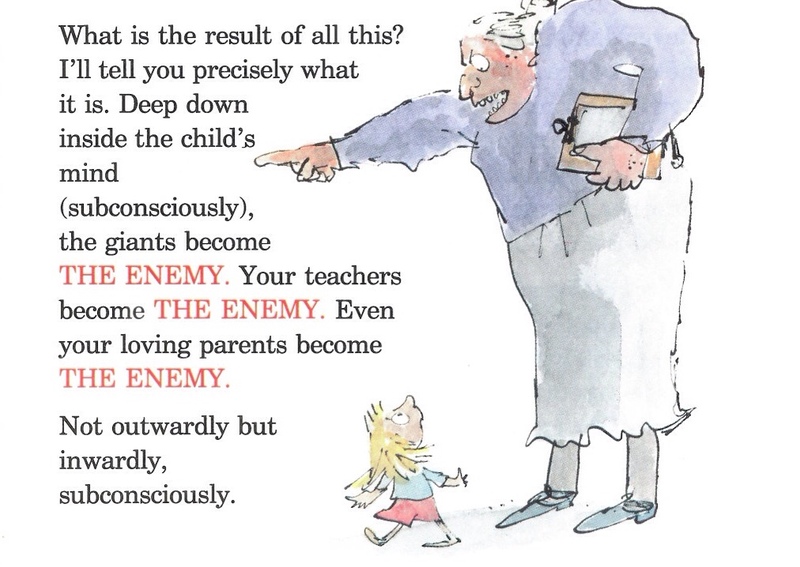 Roald Dahl died in 1990 (not in a railway accident), so I imagine this was one of the last things he wrote. 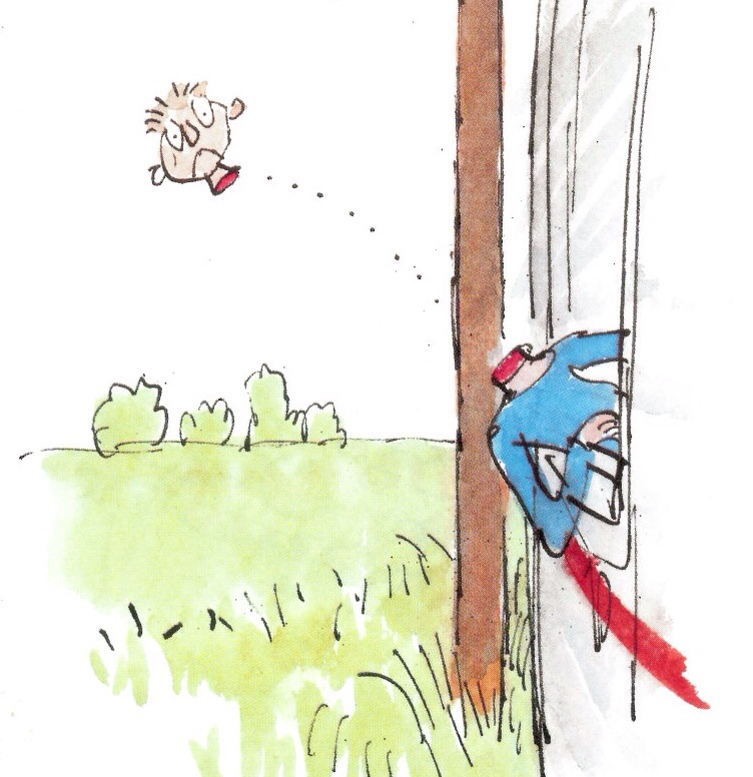 It is, as you might imagine, not your average safety leaflet. 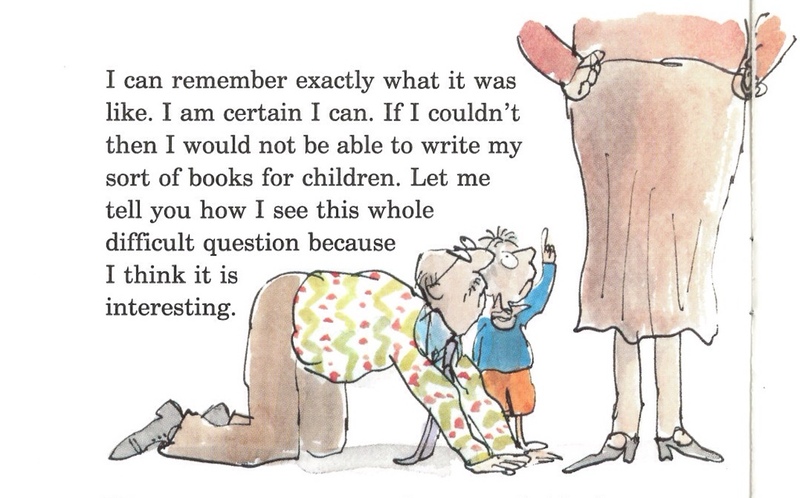 Dahl takes the opportunity to give us some illuminating insights into his unique perspective as a children’s writer. 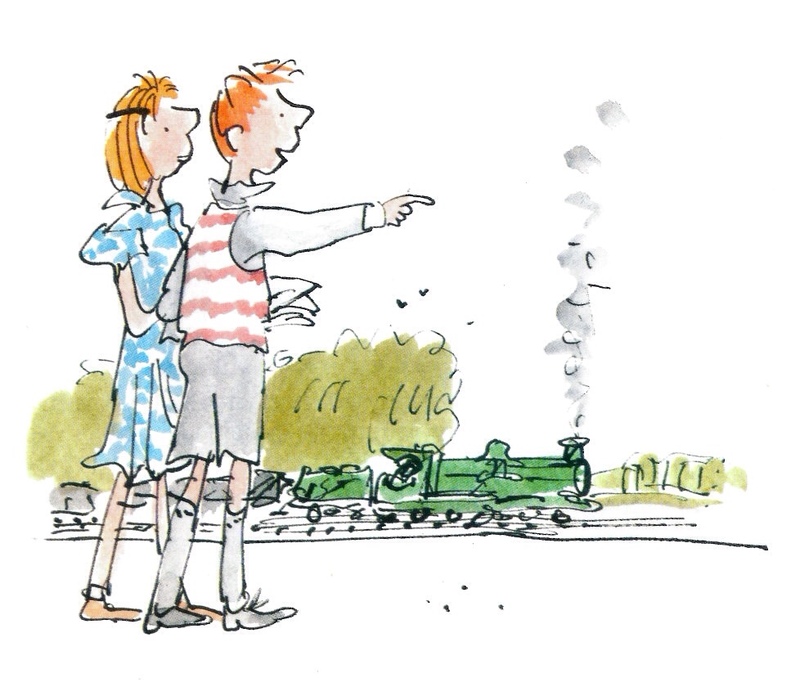 We also get a new piece of Dahl’s memories of boyhood, as he puts off the ‘preaching’ and spends ‘another two minutes telling you why I have always loved trains and railways.’ Actually he spends most of this time preaching about why he hates cars and the modern world in general. That line is vintage Willy Wonka. The old goat still had it. 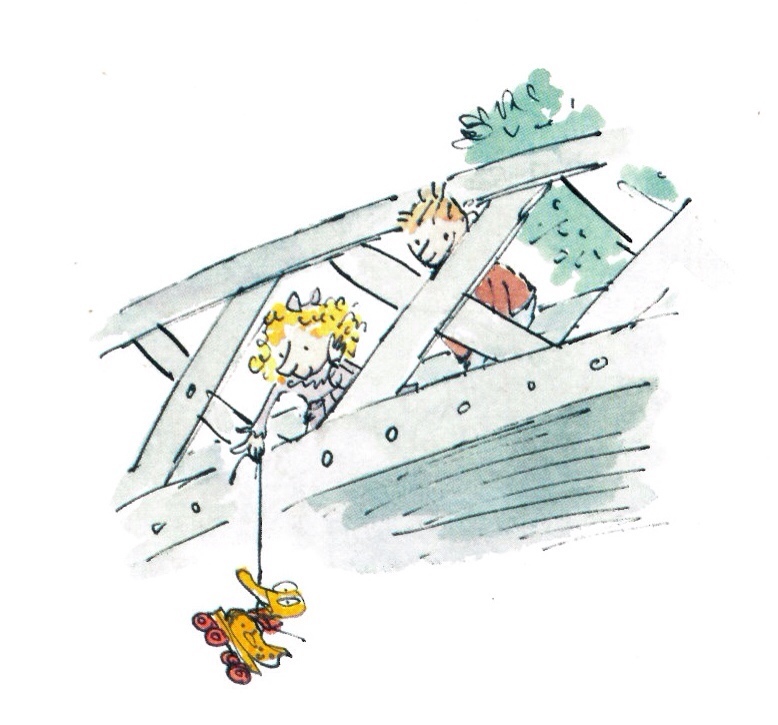 The safety guide proper is a return to that perennial Dahl device, the ‘cautionary tale‘. 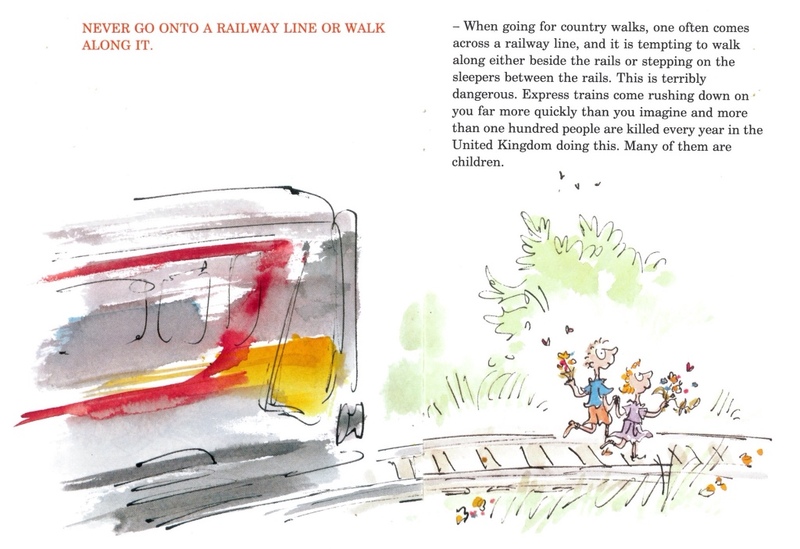 Aided and abetted by Quentin Blake at his mischievous best we get decapitations, derailments, electrocutions and something unspeakable flung out of the carriage window. 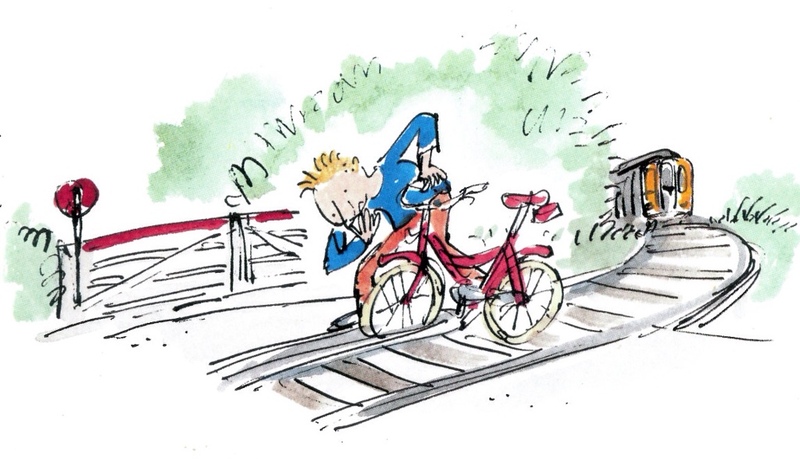 Tags: matilda, Quentin Blake, Roald Dahl, Roald Dahl's Guide to Railway Safety. Bookmark the permalink. 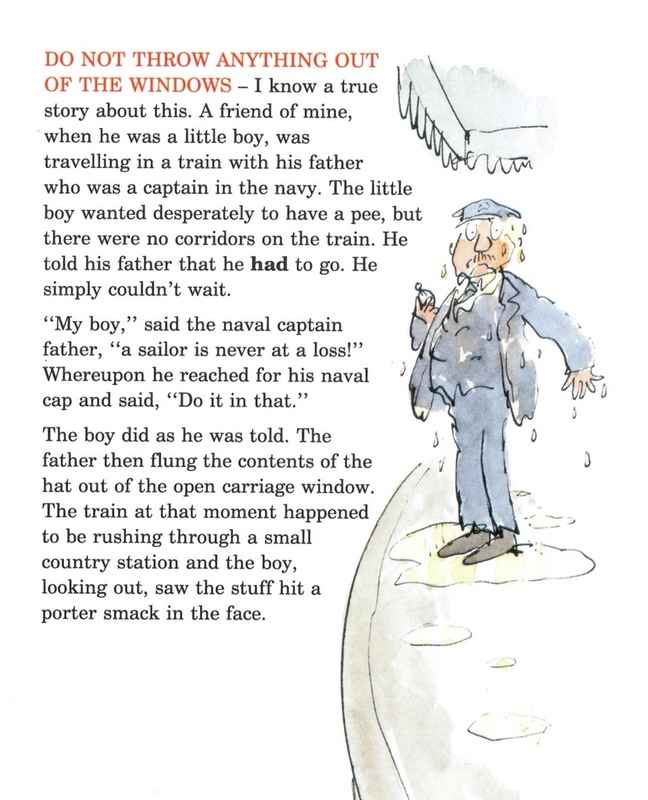 Loving your relentless pursuit of justice for uncredited illustrators Sarah! I’ll ammend.